Hi friends! 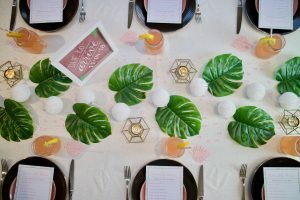 Oh I’m so very excited about this week’s post but first, I do have to say that if you remember my promise from last week… well, I’m so sorry I didn’t have time to write the second blog post I was talking about so I’ll save it for another time. 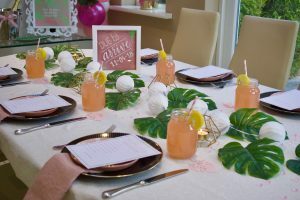 Back to more exciting things and that is, this baby shower I styled in collaboration with Michelle from Scritto! 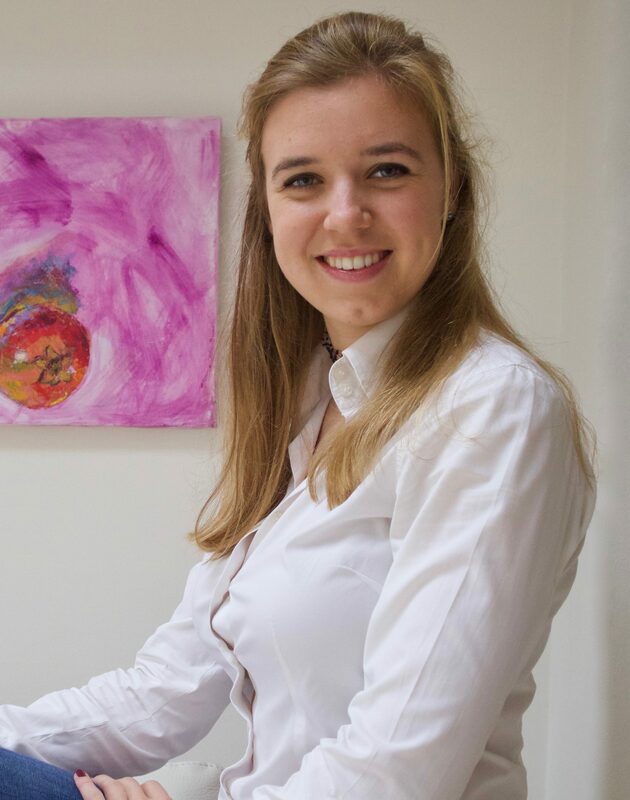 She recently started her own calligraphy business and she’s so talented! 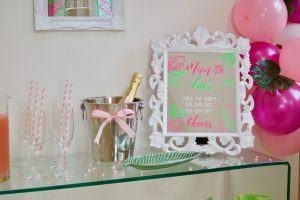 She created lots of items for this shoot, which I’ll show you more in detail soon but first, I want to gush a little longer about Michelle! Haha. 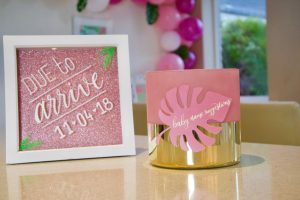 She sells lots of personalised items from invitations, to welcome signs, to gifts and does custom orders as well. She has an online shop you can check out HERE and see what else she makes. Do check it out especially if you’re planning an upcoming wedding or other event. 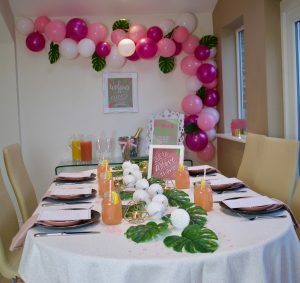 Ok, let me show you this decor I created for the occasion. First off, I want to say I really like the mix of colours I used. 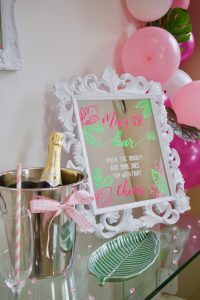 Obviously, there is lots of pink so its perfect for the arrival of a little baby girl but its not overbearing so I feel is very appropriate for an adult get together, if that makes any sense. 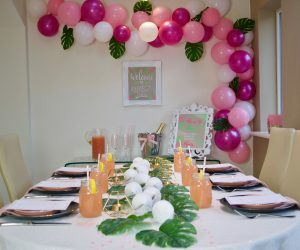 Clearly, the most imposing decor item was this balloon garland I made. I was a little nervous because I had never made one before and thought it would be super complicated but let me tell you. Its SO easy! 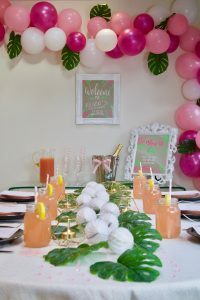 Its super cheap to make since all you need are balloons, looks super festive and people will think you spent houuurs creating the decor when really, it can be done in a couple of minutes. 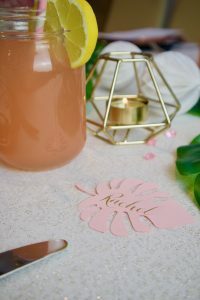 I followed THIS tutorial – super easy, you’ll see – and 15 minutes later, I was done!! I bought 3 different colours of balloons, but I think I could’ve bought more and it would’ve looked even better. So I got these white ones, these baby pink ones and these darker pink ones. 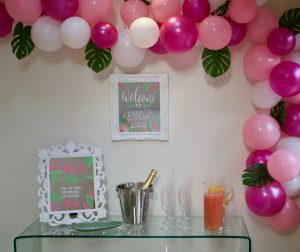 Once I created my garland and hung it up, I grabbed my fake tropical palm leaves I bought from HERE (super cheap as well!) and fastened them in between the balloons. And really, that was it! 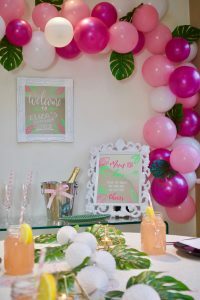 I’m definitely going to make more of these in the future, I love the way balloon garlands look. While I’m at it, I want to show you this little Mom-osa station here. Oh I just love this sign Michelle created! I mean, look how perfect it looks! 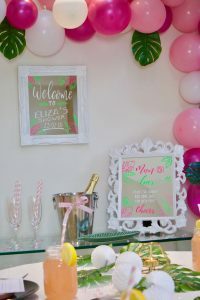 Of course there was champagne (although, not suitable for the mom-to-be haha) and different kinds of juice, all nicely presented with champagne flutes accessorized with pink straws. 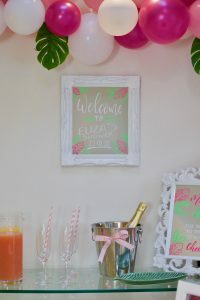 Michelle also made this welcome sign that I hung above the bar set up. It really was the perfect place for it, I’m so glad there already was a nail in the wall I could use! Haha. Oh and I almost forgot about that “name suggestions” jar. Michelle (of course) made that little tag. See how perfect her hand writing is!!! 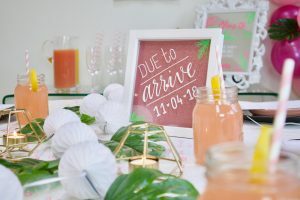 I find this such a cute idea for a baby shower, so the guests can feel part of the journey of welcoming this new baby into the world. 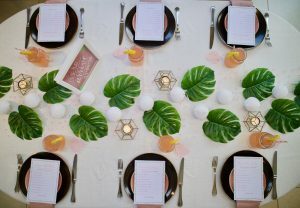 OK, now lets talk about the tablescape a little. 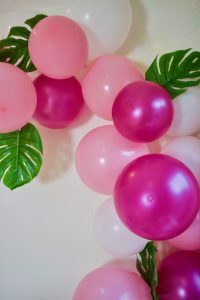 Part of me wishes there was a little more pops of pink but at the same time I like that the balloons take centre stage. I don’t know what do you think? Let me show you in a bit more detail. 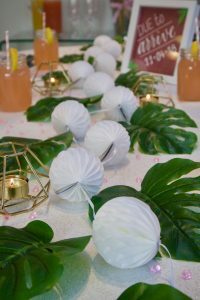 I decided to create a sort of long table runner out of those same tropical palm leaves I used with the balloons and this honeycomb ball garland. I also added these gold tealight holders because no table decor is complete without candles. 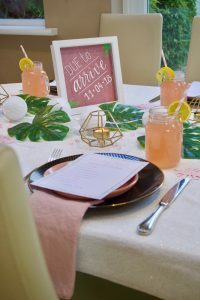 I also added these light pink table crystals to add a few touches of pink to this very non pink decor. 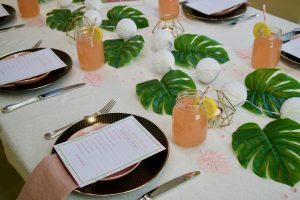 You probably noticed these very festive-looking drinks on the table! Well, they look orange but they’re filled with pink lemonade. Literally my favourite soft drink!! Its so sweet though. 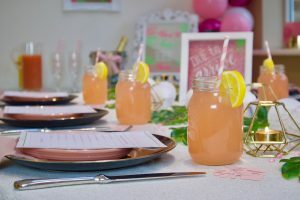 I accessorised the glasses with these pink straws and a slice of lemon, of course! I love using mason jars as glasses. Ok, its a couple of hours later and the snow has stopped. Lets get back to this tableware. 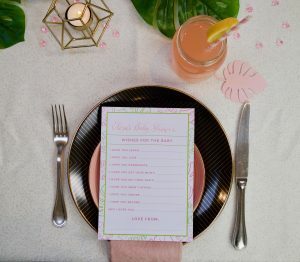 I also bought these pink linen napkins to add a little more pink. 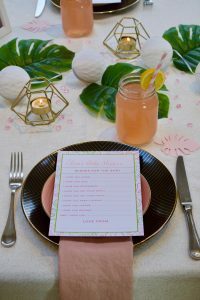 Now for the cherry on top, I asked Michelle if she could make “Wishes for the Baby” cards instead of menus to put on each plate. Oh they turned out so cute. 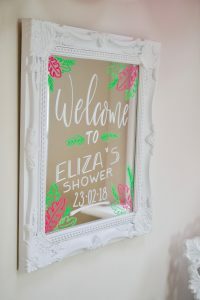 I love this idea to have guests write a little something for the baby. It really makes it more real and more special. 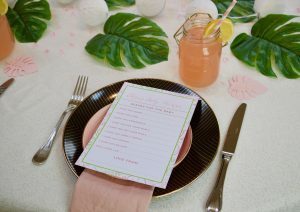 Oh and Michelle also hand wrote these place cards. I think they’re such a special touch! 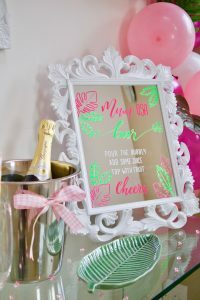 I find these personalised touches make any decor that much more special. 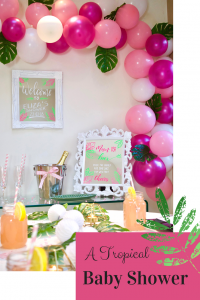 Thank you Michelle for collaborating with me on this decor! I love it when you contact me to collaborate on projects, it makes the process of styling a shoot so much more fun so please don’t hesitate to reach out!! What are your thoughts on this set up? Is it something you would recreate yourselves? Let me know!